Susan Rush has been writing professionally since 1999. Her work has been published in "The Chicago Tribune" and in scientific publications and on health-related Web sites. She has special expertise in the area of patient education and has written educational handbooks that have been used by medical centers across the nation. Rush earned a Ph.D. in English literature from Cornell University. Very little high-quality scientific research on the effectiveness of foot reflexology has been done. Western doctors tend to be skeptical about the existence of Qi and meridians because these are speculative entities that cannot be observed or measured. Scientists are, however, actively investigating the related practice of acupuncture, with results that demonstrate convincingly that acupuncture has observable effects on how the brain functions. Acupuncture achieves its effects primarily by acting on the nervous system, but it also appears to activate the pituitary gland and parts of the brain in such a way as to affect the body's production of proteins, hormones and brain chemicals. 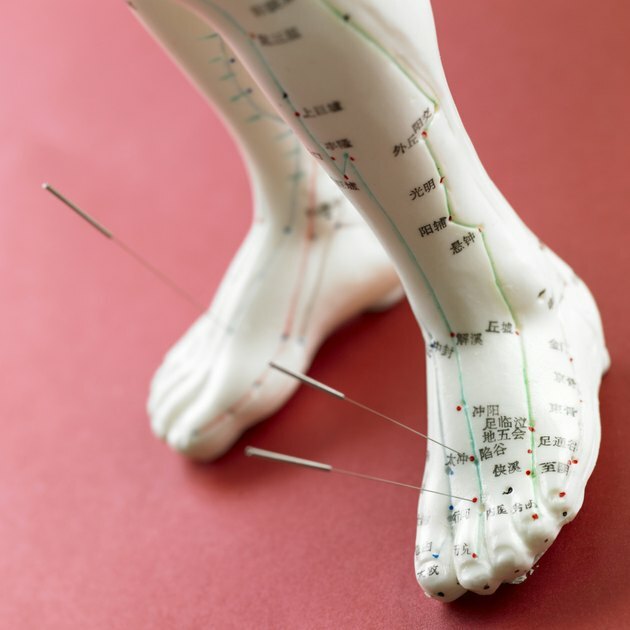 According to traditional Chinese medicine, if you manipulate the reflex points on the feet that communicate with the brain, you will stimulate the flow of vital energy to the brain and promote a healthful balance of the brain's processes. More well-designed scientific research on foot reflexology is needed to test the validity of this claim. The research on the related practice of acupuncture is encouraging in that it demonstrates that manipulating acupoints can have positive effects on the brain. Centuries of personal accounts of the health benefits of foot massage have been unearthed. Based on these, reflexologists would recommend that you try a foot massage to relieve stress and promote a state of deep relaxation--to improve the quality of your sleep; to relieve headaches, including migraines; and to reduce anxiety and depression. It is important to keep in mind, though, that reflexology is a complementary therapy and that you should always consult a medical doctor for any problems you are having with your physical or mental health. The reflex point for the brain is the tip of the big toe, as well as the tips of the second and third toes. On the pads of the big toe, you will find the reflex points for the hypothalamus, the pineal gland and the pituitary gland, all of which are also important for brain function. You will find these points more easily if you look at a reflexology chart, which is a visual map of all of the reflexology points on the foot. You can use a few different techniques to stimulate brain reflexes. You can begin by lightly stroking the reflex point with a downward motion using your fingertips. Another technique you can use is finger walking, where you massage the area by pressing up and down on it with the thumb and forefinger. You can also use your fingers to apply firm pressure to the reflex point for about one minute. Are There Health Benefits of Walking Barefoot on Stones?